The government’s Independent Expert Panel (IEP) and now the British Veterinary Association (BVA) have condemned free shooting as ‘inhumane’ . 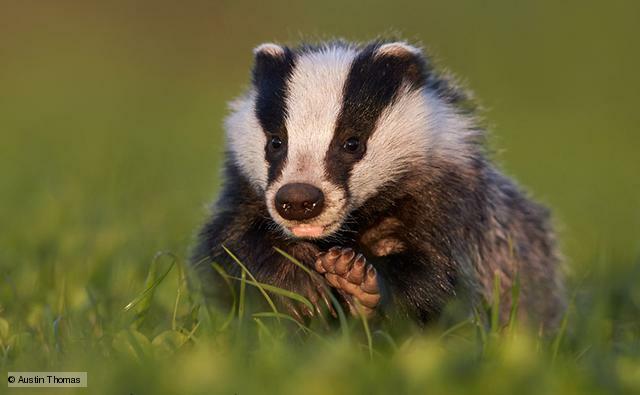 There was a failure to achieve the minimum number of badgers killed in either annual cull in Gloucestershire and in Somerset the second year of culling achieved a much reduced target figure. “However, the real scandal is that the vast majority of culled badgers will not have had Bovine Tuberculosis (bTB),” continues Dominic Dyer. “The government has insisted that none of them are tested for the disease either before or after they are killed. This means the culling method is not only ‘blind’ but also that there is no way of ever knowing if it has worked. Two of the UK’s leading naturalists and broadcasters Chris Packham and Steve Backshall have joined with the Badger Trust to condemn the government’s decision. “Ignoring science and going back to the dark ages culling badgers to keep certain lobbies happy, is a terrible idea,” says Steve Backshall, whilst Chris Packham has said, “There are plenty of reasons to oppose the culling of badgers but underpinning them all is the fact that the science says, indeed all the scientists say, that it’s the wrong thing to do”. “The government and the farming lobby are continuing to play the badger blame game in order to mask their failure to properly control this disease,” says Badger Trust Chairman, Peter Martin, “the Welsh Government’s approach has been far more successful by focusing on improved testing and movement controls in cattle. New incidents of bTB in Wales are down 28% with a 45% cut in the number of cattle being slaughtered. This leaves 94% of the Welsh herd now free of bTB, without culling any badgers”. The Badger Trust is urging the government to adopt the same approach in England and also to consider the economics of the cull. “Two years of badger culling have cost the tax payer in the region of £15 million,” continues Peter Martin, “it’s the most expensive wildlife cull of its kind on record. And to what effect? Culling badgers costs ten times more than vaccinating them”. “To cap it all,” concludes Dominic Dyer, “Defra’s latest figures  show TB incidents in and around the cull zones are actually increasing. This was predicted not just by the scientists but was also highlighted as a serious concern in the government’s own risk assessments. Taking all these factors into consideration, their decision to carry on culling badgers is completely irrational”. “As far as we are aware, no such cost/benefit analysis has yet been undertaken, and it is not clear how it could be undertaken until the conclusion of the pilot culls. The lack of testing for bTB seems like a poor decision. With no way to know if the badger cull is having any effect on controlling the disease, its seems doomed to fail. Crazy isn’t it. Absolutely ludicrous programme – you have to wonder what it will take for them to wake up and realise this is completely ineffective.